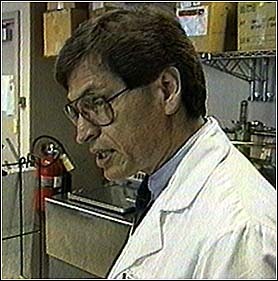 Dr George A. Ricaurte, lead author of the retracted paper in Science (26 Sept 2002) Severe Dopaminergic Neurotoxicity in Primates After a Common Recreational Dose Regimen of MDMA ("Ecstasy"). Dr Ricaurte's earlier work on MDMA-induced serotonergic neurotoxicity is much harder to dismiss. Ecstasy as an anti-Parkinsonian agent? MDMA ("Ecstasy") and Parkinson's Disease?